The Niagara Falls can move you into an awe-struck stupor, and the Falls themselves have actually moved! Ten thousand years old and continually shaped and reshaped by natural forces, the Niagara Falls one sees today are completely different from what they were several hundred years ago – the original Falls were approximately six miles ahead of the current location at Lewiston (where one cannot miss Hibbards’ famous frozen custard). We drove into Niagara city, the beauty and nature of Watkin Glen State Park firmly etched in our minds. At a distance we could see a plume of mist slowly dissolving into the sky, but nothing could prepare us for the sheer size and scale, which was simply mind-boggling. 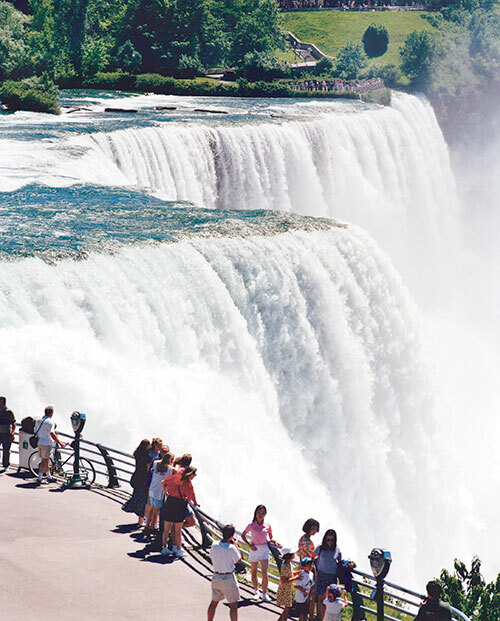 At its peak during later spring or early summer, about 15 million gallons of water flow over the Falls and during summer, about half that quantity traverses the Falls – which are divided into three separate spots, the Bridal Veil, the American Falls and the Horse Shoe Falls. We took off on an exhilarating journey aboard the whirlpool jet boat which zooms from the town of Lewiston to the whirlpool and back. 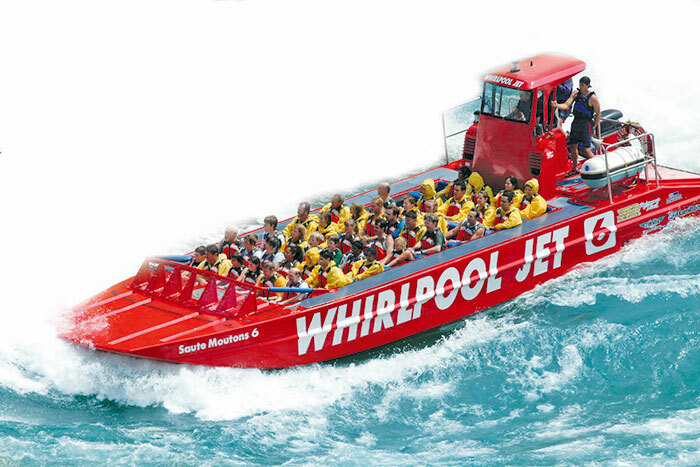 You have the option of riding in either a closed (‘jet dome’) or open (‘wet jet’) jet boat. If you are not splash-resistant then the ‘wet jet experience’ promises the ride of your life. Dressed in a wet sweater, a splash suit, poncho and aqua socks (the gear keeps you warm; even in summer, the water can be quite cold) and with a jolly, young crew that keeps you entertained with jokes, tasty bits of information about the Falls and safety instructions, we set off on our wet journey: 360 degree turns, soaking splashes into the white water rapids of the Devil’s Hole Rapids ending at the natural whirlpool created by the rushing waters of Niagara. How close would you like to get to the actual Falls? The Cave of the Winds gets you a mere few feet away. 175 meters into the gorge, below the Bridal Veil Falls you stand face to face with the thundering and billowing water. The wooden walkways lead you to the Hurricane Deck where your poncho means nothing and the water will soak you to the core. A couple of hundred metres down from the observation deck, it’s a quick wait to get on to the Maid of the Mist (this boat service has been operating since 1846). 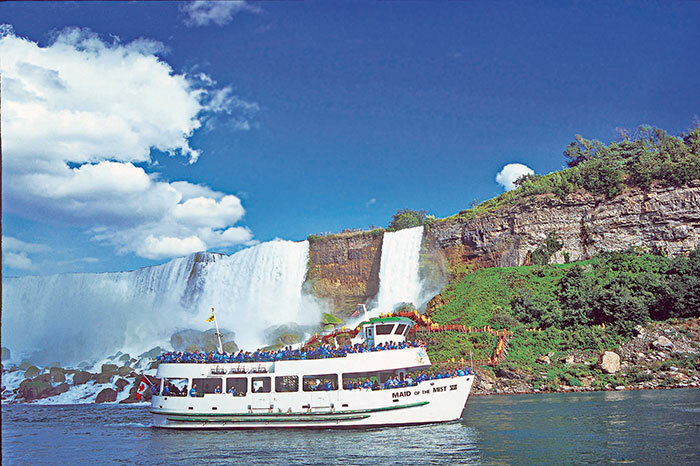 Of course, the top deck is the best; the boat slowly makes its way past the American and Bridal Veil Falls to the Horseshoe Falls. At engines running full speed, the Maid gently takes you to the edge of the Falls. 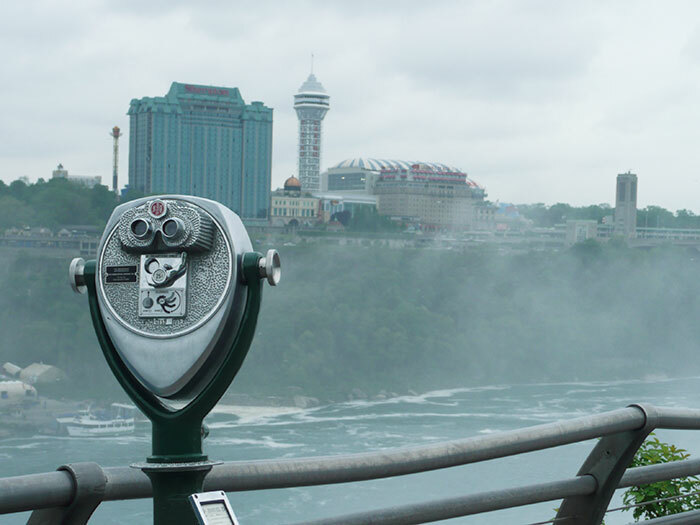 The experience of seeing, hearing and simply feeling Niagara’s power, fury and beauty is unforgettable. 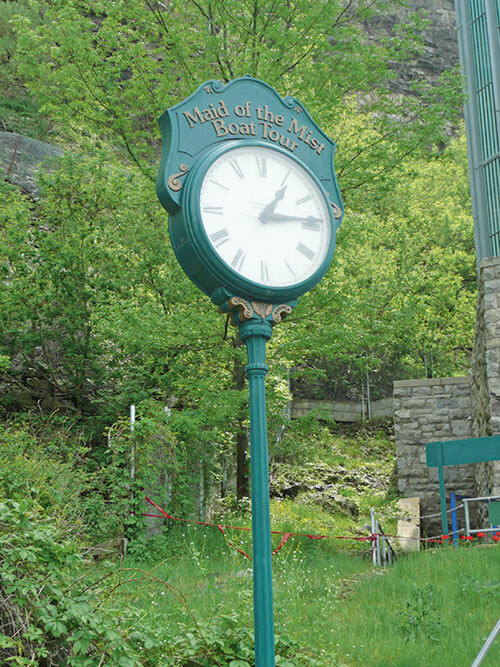 Don’t miss the Observation Tower on your way to or back from the Maid of the Mist. Each island supports a variety of microhabitats and has its own flora, making them a delight to explore; take a quiet walk or just be close to nature. Historic bridges link the three islands and you could almost spend the entire day walking through these islands. The descent at Goat Island provides an opportunity to see the Horseshoe Falls closely while you could get up close and personal with the Niagara river at the Three Sisters Islands. For the nature lover, Devil’s Hole State Park or Whirlpool State Park are ideal for hikes, walks or biking. Besides being easy on the eye, the Niagara State Park is one of the few non-commercialised places to hang out. 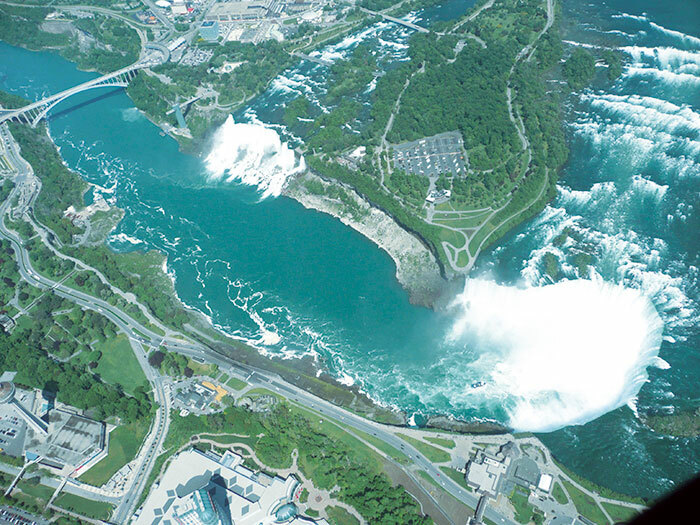 A visit to the Niagara Falls is not complete without the helicopter ride that literally gives you a bird’s eye view of the Falls and the surrounding areas. 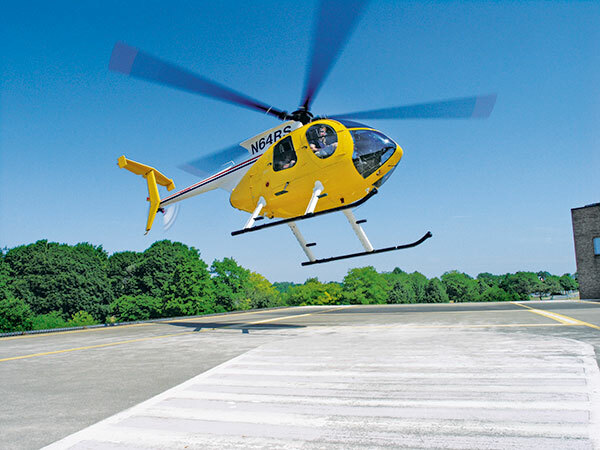 Rainbow Air, Inc is the only company that operates this service and flies out of a quaint helipad constructed right in the middle of the city close to the main Falls. Don’t be surprised if you suddenly see one of its ‘birds’ take flight, appearing from nowhere. Not too far from the Falls you can wind your way around the wine trail, checking out the award-winning wineries nestled between the Niagara escarpment and Lake Ontario, giving you a chance to try some excellent ice wine. A collection of facts, myths and adventures of the Niagara, the show, though a little old, is definitely worth a look. Who would have thought the Falls would look anything but dark at night? Illumination of the Falls from the Canadian and the USA sides bathes the Falls in a confluence of lights that is both magical and imaginative. Nights can be reserved for dining at a plethora of restaurants that spin out different cuisines to pamper different tastes and palates. If that is not enough, fireworks, during certain periods of the season, complete the Niagara experience. Getting there: You can drive to Niagara (seven-eight hours from cities like New York, Washington DC and Boston) or take a flight. Most people take a domestic flight to Buffalo Niagara International Airport, which is serviced by all major American carriers. Amtrak also offers train connection to the Falls. Stay: Crowne Plaza Niagara Falls (www.ichotelsgroup.com), an upscale hotel with well-appointed guest rooms and friendly service. For the people who want to try their luck, the Seneca Niagara Casino and Hotel (www.senecaniagaracasino.com) is the ideal place to go. 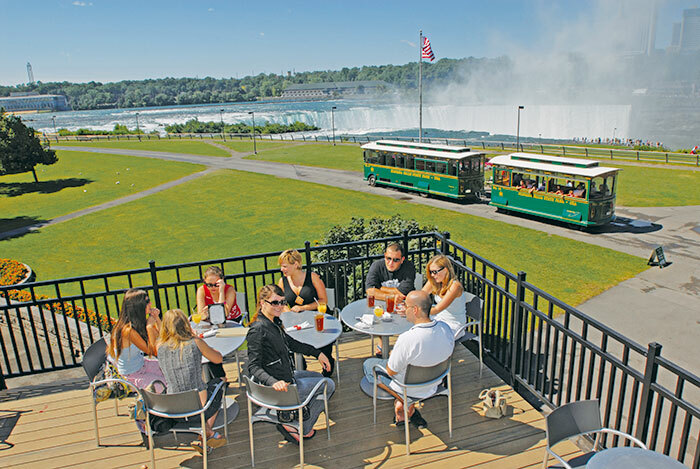 In Lewiston a good choice would be the Barton Hill Hotel and Spa (www.bartonhillhotel.com), a historically hip boutique hotel at the water’s edge. Tip: The Discovery Pass allows you entry to all the major attractions of the park, and it’s a great way to discover Niagara.